Coral Gables, Fla. – May 23, 2017 – Baptist Health South Florida has named six leaders to new executive positions in its clinical enterprise division. The team, which includes four physicians, will be responsible for leading the organization’s effort to provide the highest quality and greater value and set high standards for achieving evidence-based medicine. “The accomplished leaders who have accepted new positions within our clinical enterprise division will guide our organization in terms of clinical excellence and data-driven standards,” said Jack Ziffer, Ph.D., M.D., executive vice president and chief medical officer for Baptist Health, who leads the division. “These physicians and operational leaders, who have broad experience in their fields and in healthcare management, will ensure that everything we do across our organization, whether it be at one of our seven hospitals or one of our more than 70 outpatient and physician practice locations, is coordinated, based on clinical evidence, with real-time availability of clinical information and analytics. The new, innovative structure brings clinical standards and integration, care coordination, analytics, research, continuing medical education, quality and the Baptist Health Medical Group together under one umbrella to best serve our patients. Jonathan Fialkow, M.D. has been named chief clinical integration officer. In this role, Dr. Fialkow will lead initiatives for the system in the integration of physicians and other clinicians into design and implementation of best-care practices as well as maintain his current responsibility as founding executive medical director of the Baptist Health Quality Network (BHQN). The BHQN is Baptist Health’s clinically integrated network that brings together Baptist Health entities and more than 1,300 physicians in our community to collaborate on clinical quality, cost and excellence in patient outcomes. In addition, Dr. Fialkow will work in collaboration with the human resources department on the design of employee health plans. 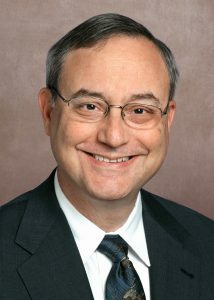 Fialkow, a Fellow of the American College of Cardiology and the American Heart Association Council on Clinical Cardiology, has been a principal investigator in many major clinical trials in the cardiology arena and has analyzed the effectiveness of countless popular diet plans and ways of eating. Prior to his new role, he was medical director of the Stress Lab, EKG and Cardiac Rehabilitation, and co-director of the Chest Pain Center at Miami Cardiac & Vascular Institute. Fialkow earned his medical degree from Boston University School of Medicine, and completed his internal medicine internship and residency at Beth Israel Medical Center in New York City. He also completed a cardiology fellowship at the University of Miami/Jackson Memorial Hospital. 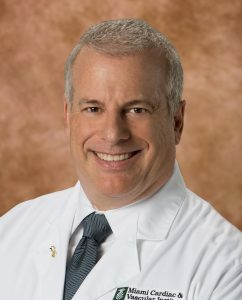 Fialkow is a co-founder and will continue as managing member of HeartWell, an affiliation of 25 cardiologists in Kendall, and medical director of the Cardiovascular Research Center of South Florida. Louis Gidel, PhD, M.D. has been named chief medical informatics and quality officer. In this role, Dr. Gidel will align clinical informatics and data with quality metrics from the Centers for Medicare & Medicaid Services, helping to establish evidence-based best practices across the system. He’ll be responsible for performance improvement, analytics, telehealth and medical informatics. Dr. Gidel will focus on the clinical decision-making to have data-driven support. Prior to his new role, Gidel served as Baptist Health’s chief medical informatics officer and is helping to spearhead the organization’s implementation of Cerner Millennium, its new integrated electronic medical record system. He has also served as medical director of Baptist Health’s eHealth Center including telemedicine and the eICU and transfer center and co-chair of the System-wide Adult Critical Care Committee since 2009. Gidel began his career as a PhD physicist from the University of Illinois. He worked in academic research for seven years before earning his medical degree in the Ph.D. to M.D. program at the University of Miami. He trained in internal medicine and a fellowship in pulmonary and critical care at the University of Miami/Jackson Memorial Hospital. Gidel worked in private practice before joining Baptist Health’s eHealth center in 2006. Mark Hauser, M.D. has been named president, medical staff affairs. In this role, Dr. Hauser will be responsible for Baptist Health’s system-wide approach to evidence-based care. He will oversee the organization’s evidence-based clinical care (EBCC) committee, which is tasked with determining the best standard of care driven by data and analytics. He will also oversee care management, patient safety, the system’s Institutional Review Board and various clinical committees, the Baptist Health entity chief medical officers’ council, and other physician hospital-based councils. Prior to this new appointment, Dr. Hauser was the vice president of medical affairs and chief medical officer at Baptist Hospital of Miami, a position he held since 2004, and will continue performing until his successor is in place. He received his bachelor’s degree from Duke University and his Medical degree from the University of Florida College Of Medicine. Dr. Hauser did his post-doctoral training at the University of Miami affiliated hospitals in internal medicine and pulmonary diseases. From 1978-1981 he was the medical director of the Medical Intensive Care Unit at Jackson Memorial Hospital and assistant professor of medicine in the Pulmonary Division at the University of Miami. 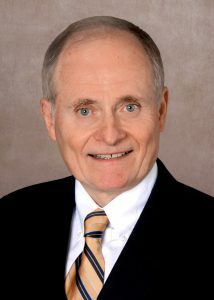 He practiced pulmonary medicine in private practice in Miami from 1981 to 2003. 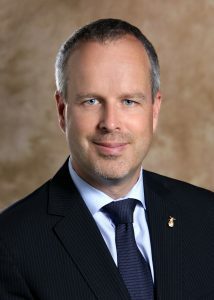 Philipp Ludwig has been named corporate vice president and chief operating officer of the new division. In his role, Ludwig will provide administrative, operations and leadership support for the clinical enterprise division, bringing under one administrative umbrella important clinical efforts that span the health system. Prior to his new role, Ludwig served with Dr. Ziffer, as founding vice president of operations for Baptist Health Medical Group (BHMG) and Baptist Health Quality Network (BHQN), Baptist Health’s physician enterprise. He will maintain operational oversight of these areas in his new position. His areas of responsibility also cover several aspects of physician services, such as the home health, eICU Lifeguard program and the system-wide Transfer Center, as well as a leading role in number of strategic initiatives, ranging from procurement to delivery of care. Prior to joining Baptist Health, Mr. Ludwig served as a director of a local manufacturing company as well as advisor to the board of its foreign-based parent company. In the past, he has held several leadership positions with UBS and its predecessor Swiss Bank Corporation in New York, Stamford, CT, and in Europe. Areas of responsibility included risk management, managing portfolios of distressed corporate assets as well as corporate mergers & acquisitions. He holds a Masters in Economics from the University of Fribourg, Switzerland. He also has an MBA and a graduate certificate in Health Sector Management, both from Duke University’s Fuqua School of Business. Khurram Nasir, M.D. M.P.H has been named corporate medical director of the Baptist Health Center for Research. In this role, he will be responsible for further developing the clinical research and continuing medical education programs. He will work to foster and support clinical research by helping to develop resources and funding these initiatives. Dr. Nasir will also have a critical role in furthering clinical analytics in order to provide data-driven, evidence-based clinical decision-making, including innovative real-time decision support, closely tied to the care coordination and quality. Nasir is a top international expert in population health and outcomes research, with a particular interest related to cardiovascular disease prevention. He serves as medical director of Baptist Health’s Center for Healthcare Advancement and Outcomes. 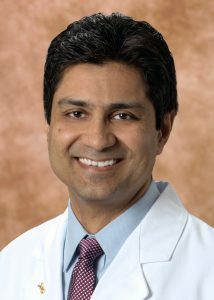 In this role, he has developed a local health policy and outcomes research program and has also led the implementation of the ongoing Miami Heart Study, a prospective study focused on discovering underlying mechanisms for developing early signs of heart disease to facilitate personalized medicine and improve clinical outcomes. He a professor of medicine at the Herbert Wertheim College of Medicine and associate professor of epidemiology, Robert Stempel College of Public Health, at Florida International University. After receiving his medical degree in Pakistan and earning a master’s degree in public health from Johns Hopkins University, Dr. Nasir completed an internal medicine residency at the Boston Medical Center, followed by a clinical cardiology fellowship at Yale University. He has collaborated with researchers from UCLA, Yale and Johns Hopkins and has authored more than 400 peer-reviewed journal articles. He is associate editor of Circulation: Cardiovascular Quality and Outcomes and on the editorial board of Circulation and the Journal of Cardiovascular Computed Tomography. 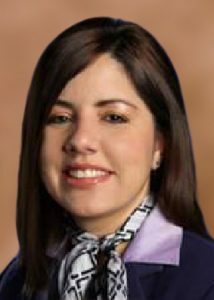 Milly Selgas R.N., has been named vice president of care coordination and transitions of care. A longtime clinical and administrative leader at South Miami Hospital, Selgas will direct Case Management & Utilization operations across Baptist Health, focusing on implementation of the new case management triad model, and initiatives of the organization’s Evidenced-Based Clinical Care Council. She will also oversee efforts to improve the continuity of care for patients after they are discharged from the hospital, by developing processes that enhance communication and transparency with medical providers and post-acute care facilities. Selgas, whose most recent post was assistant vice president of nursing, overseeing patient care services, accreditation readiness, performance improvement, social work & case management, national quality measures, magnet and infection control at South Miami Hospital, has been recognized for her expertise in organizational savviness, process design, data analytics, negotiation skills and strategic agility. She earned master’s degrees in both nursing and business from the University of Phoenix. She is also a Certified Professional in Health Care Quality (CPHQ), and Sterling / Baldrige Criteria & Six Sigma yellow belt certified by the Florida Sterling Council. Selgas serves as the co-chair of the South Florida Hospital and Health Care Association’s Quality and Patient Safety Committee. The Baptist Health Medical Group with chief executive officer Bernie Fernandez, M.D., will continue as an essential and expanding organization of the clinical enterprise and Baptist Health. Baptist Health South Florida is the largest healthcare organization in the region, with seven hospitals (Baptist Hospital, Baptist Children’s Hospital, Doctors Hospital, Homestead Hospital, Mariners Hospital, South Miami Hospital and West Kendall Baptist Hospital), nearly 50 outpatient and urgent care facilities, Baptist Health Medical Group, Baptist Health Quality Network and internationally renowned centers of excellence. A not-for-profit organization supported by philanthropy and committed to our faith-based charitable mission of medical excellence, Baptist Health has approximately 16,000 employees and 2,400 affiliated physicians. Baptist Health South Florida has been recognized by Fortune as one of the 100 Best Companies to Work For in America and by Ethisphere as one of the World’s Most Ethical Companies. For more information, visit BaptistHealth.net and connect with us on Facebook at facebook.com/BaptistHealthSF and on Twitter and Instagram @BaptistHealthSF. Tags: Baptist Health South Florida.